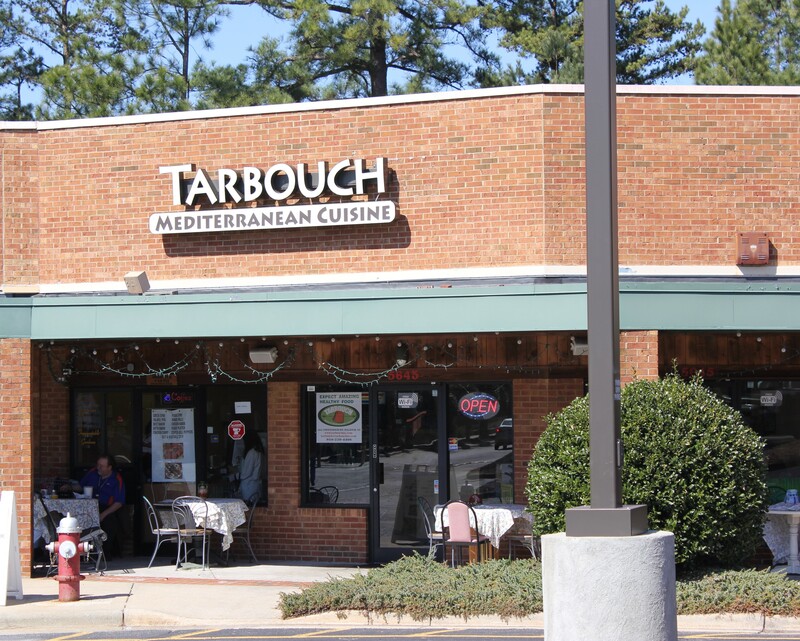 A few weeks ago I finally made it to Tarbouch, a great little Mediterranean place in Creedmoor Crossings shopping center, on the corner of Millbrook and Creedmoor Roads (5645 Creedmoor Rd., Raleigh, N.C. 27612.) My only disappointment is that I took so long to give this great little restaurant/deli a try, but I am trying to make up for that with weekly lunch visits since my first. I usually start my restaurant reviews raving about the food (and I will get to that soon), but I have to begin this post about Tarbouch’s fantastically friendly service — it seriously does not get much better than this. Whether dining in or getting something to go (which is what I normally do), I have always been treated like I am Tarbouch’s best customer ever, no matter who serves me. For example, earlier this week I ordered soup and a side salad, but the person taking my order, who I assume was the owner, suggested that I get the Tarbouch platter and add one more side, for a penny. A penny! He even made the point if I was not hungry enough to eat the extra food at lunch, I could have it later or the next day. Major score! Okay, so what about the food? 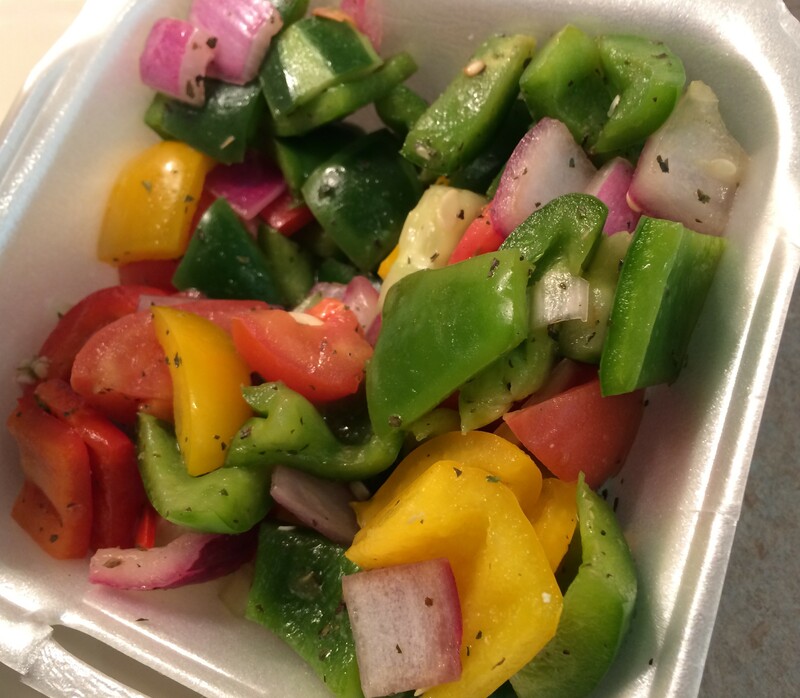 Tarbouch’s menu has an extensive offering of reasonably priced, standard Mediterranean fare, such as hummus, tabouli, gyros, various stews, rice dishes, etc. There is a small deli case right next to where you order that has the sides to choose from or to purchase by the container. Everything I have tried so far has been fresh and delicious. When dining in, you order at the counter and then your food is brought to you, either indoors or outside on the patio. 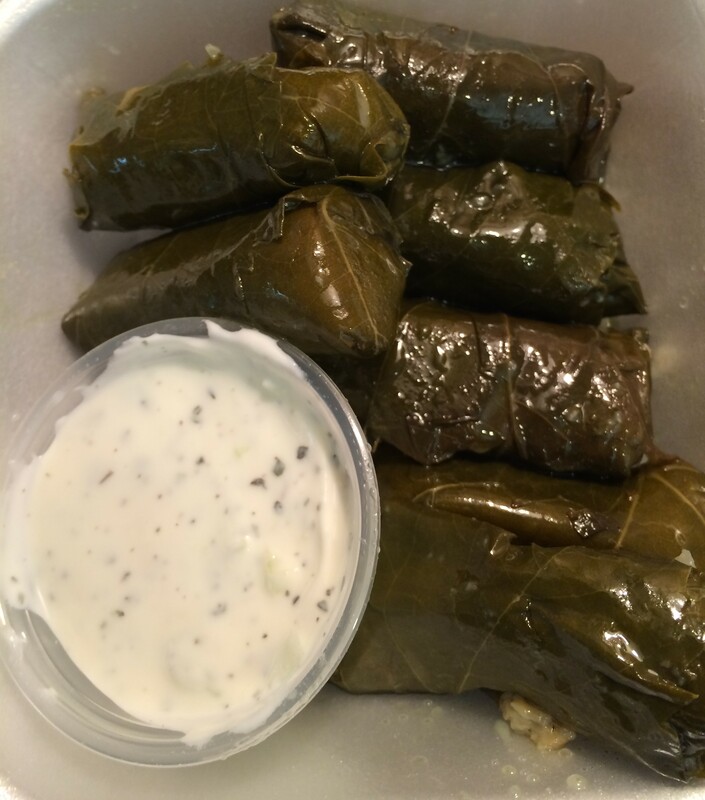 So far I have tried the grape leaves with tzatzik sauce, both of which I love! The grape leaves ($2.99 as a side) have a wonderful texture with the right balance of herbs and lemon flavors, and the tzatzik is perfect, with just enough small chunks of cucumbers that make you want to eat this heavenly sauce by itself with a spoon! 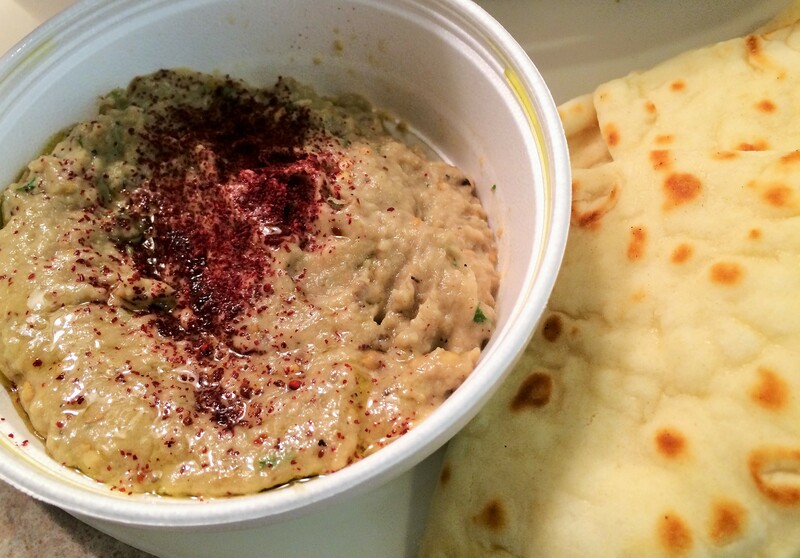 The baba ghannouj ($2.99 as a side) rocks and the only wish I have is that you get more warm pita triangles with it. However, since it was my third side on the Tarbouch platter I mentioned earlier, I was able to dip it with some of the veggies from my colorful and tasty Fatoush salad. 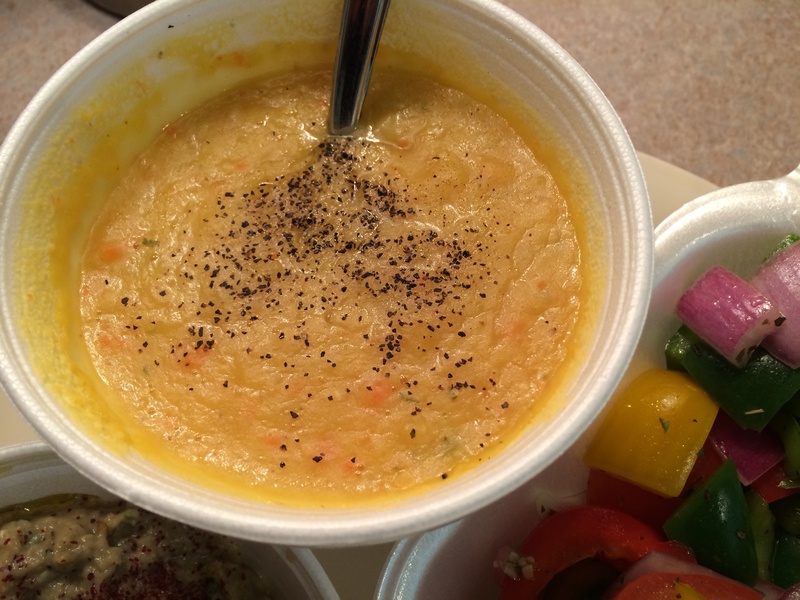 Oh, and don’t forget the soup on that platter – a wonderful creamy lentil soup with bits of carrots and great herbs and spices. Nice! The Lamb & Beef Shawarma Wrap ($4.99) is a must try for all of you carnivores out there – lots of tender meat, perfectly spiced and cooked. Just get extra napkins, this one’s kind of messy, but oh, so worth it. 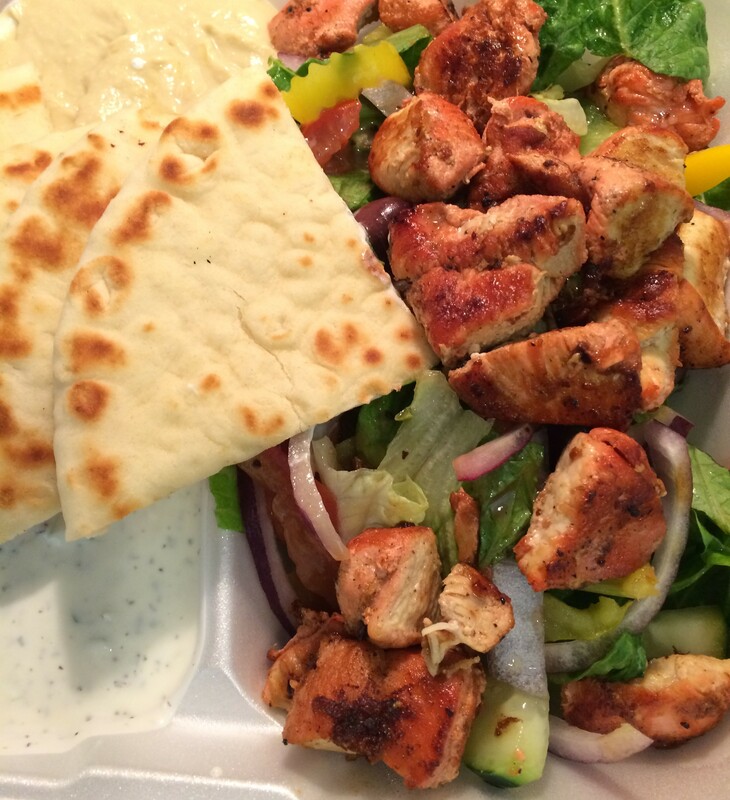 If you don’t want to deal with awesome taziki sauce possibly dripping out of your wrap, opt for the Chicken Gyro Platter. It is incredibly good and the hummus that accompanies it is out of this world. It’s hard to describe – somewhat lighter than most hummus I’m used to, with delightful lemon nuances. It’s actually pretty addictive, much better than store-bought stuff. Luckily, you can buy it by the container! Raleigh is so lucky to have Tarbouch. 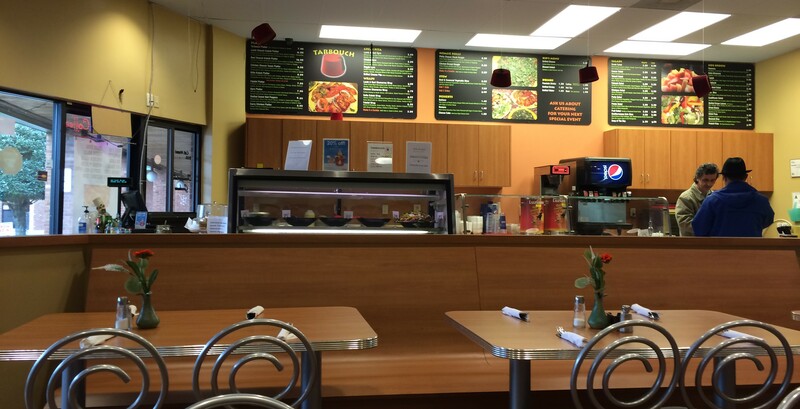 The service is top-notch, the food is fresh and delicious, and the prices are great for the amount of food you get. The atmosphere is high-end deli with a tad of elegance (e.g., cloth napkins, fresh flowers on the tables, etc.) Give it a try, and take me along! Price: Quite nice, both in terms of quality and quantity. Service: 5:0. Superb! Everyone is so warm and friendly. Food: 4.75. Everythin I’ve tried is fresh and tasty. Kid friendly: I have never seen kids here on any of my visits, but I imagine the staff would go out of its way to accommodate and please them. 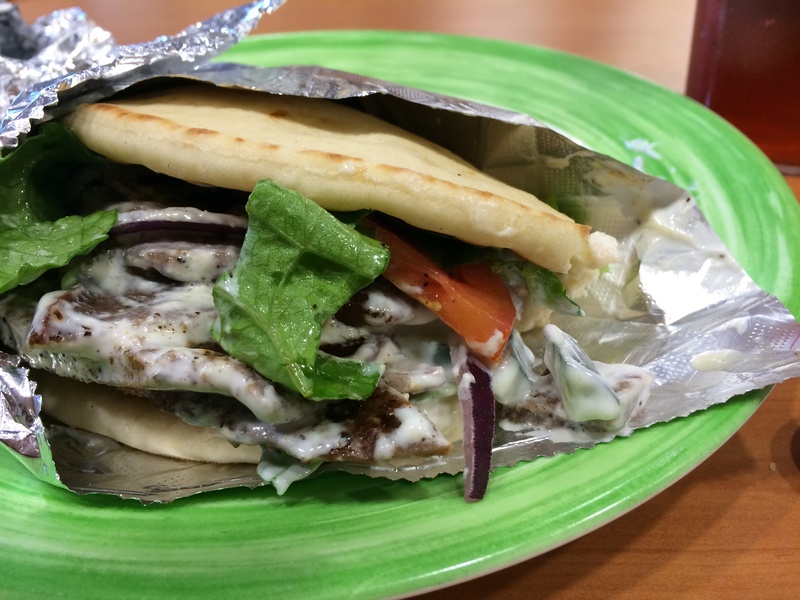 This entry was posted in Restaurant Reviews and tagged eat drink and be merry, Greek/Meditteranean restaurant reviews, Kel's Cafe restaurant reviews, Restaurant Reviews Raleigh NC, Tarbouch Raleigh NC review. Bookmark the permalink. I really like Tarbouch as well, and I’m not usually a fan of Mediterranean food. 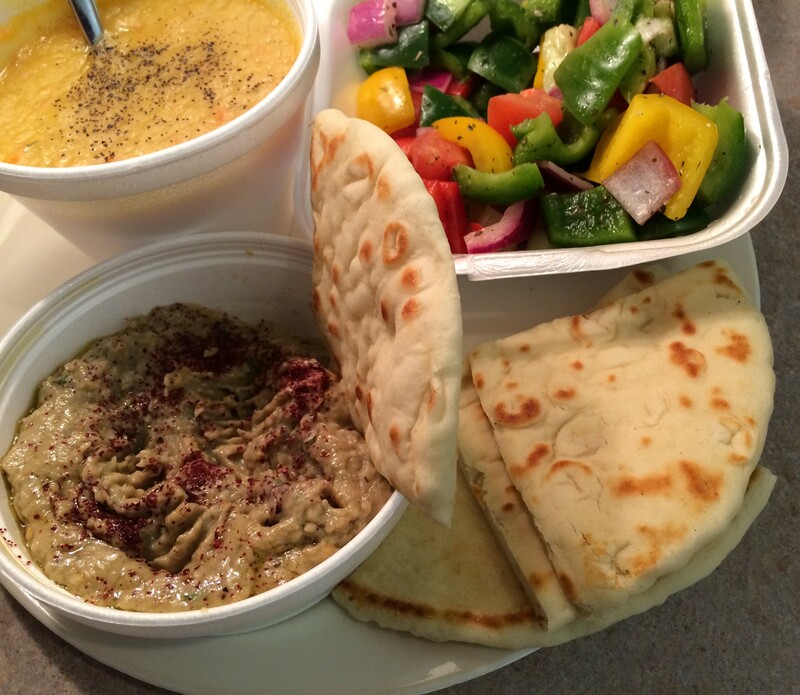 I usually opt for the falafel with eggplant salad on the side…it’s fantastic. I will have to try both of those next time I visit – thanks for the recommendation!